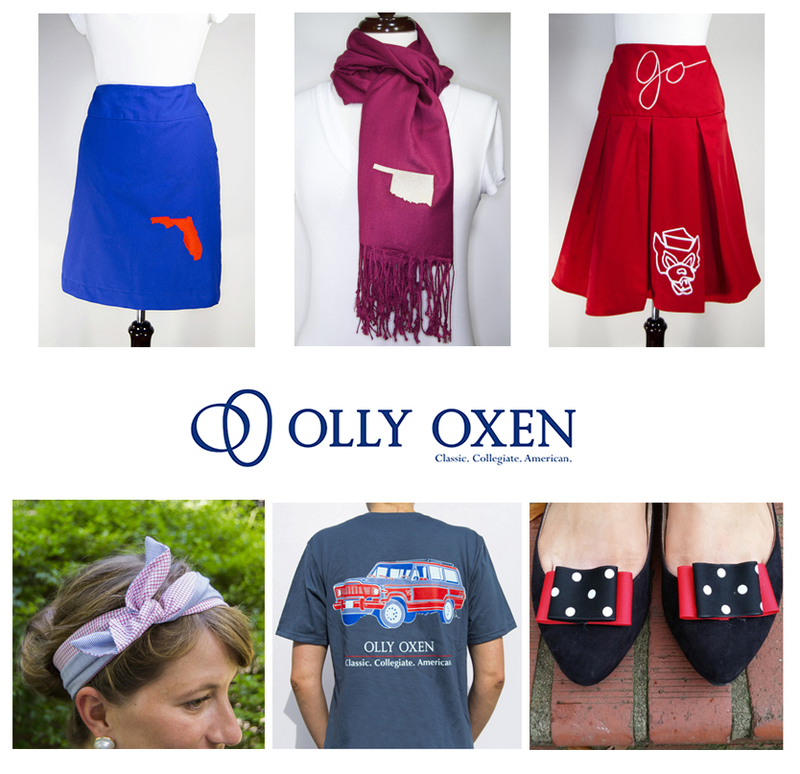 Olly Oxen was launched in 2009 by Charlotte Guice, to create apparel and accessories that are classic and collegiate. Their simple and elegant style gives their products a range that lets you wear them during many stages of your life- anywhere from the tailgate as a student, the office on your first day, to being a proud parent of a future student. The company designs all of their products in their Raleigh, NC studio and most of them are made in the USA. I really like the A line design of their skirts! I've teamed up with Olly Oxen to feature a giveaway. Calling all Florida Gators and Ole Miss Rebels!!! The winner gets to pick any one product from the winner of the Florida vs Ole Miss game this Saturday. All you need to do is head over to Instagram, follow Stylish Gameday and Olly Oxen, then comment on the post with which team you think will win. We will randomly select the winner from the entries on Sunday. Good Luck!